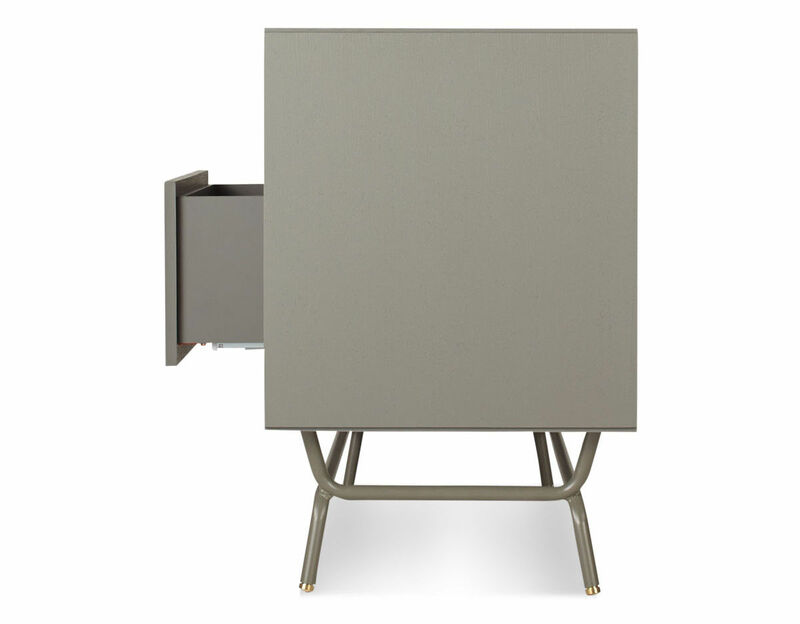 Dang Media Stand features a perforated steel door front which allows the use of remotes without spoiling the view with a painted ash cabinet. 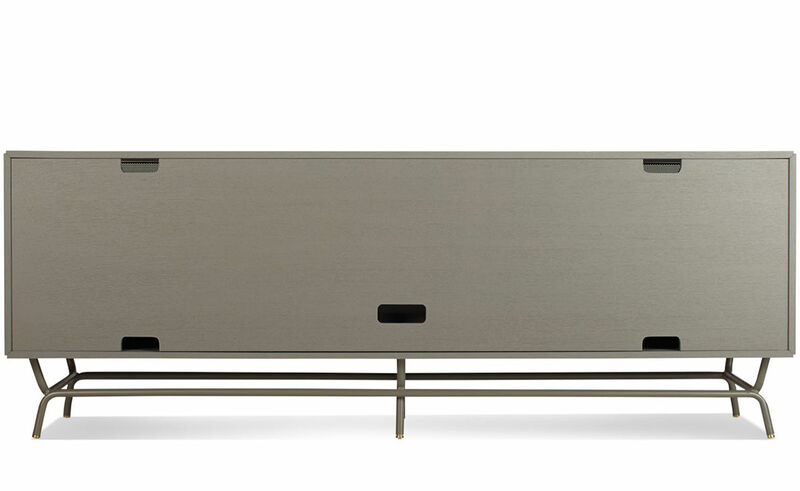 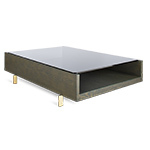 Brass details and powder-coated steel base make it a complete media package. 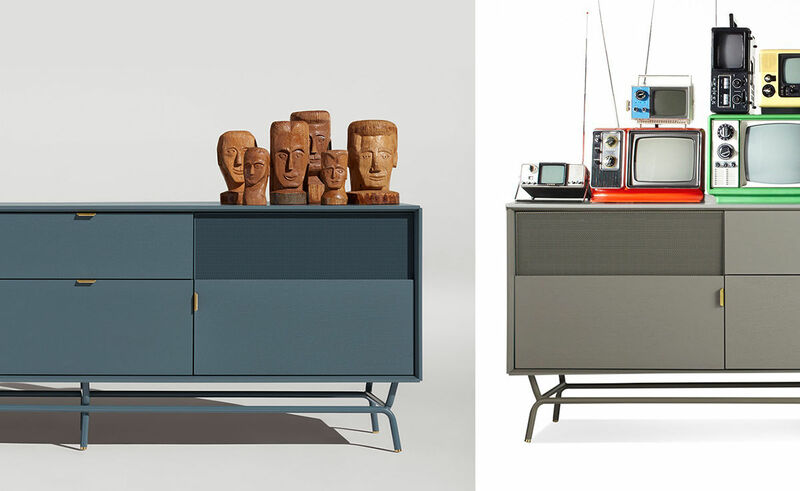 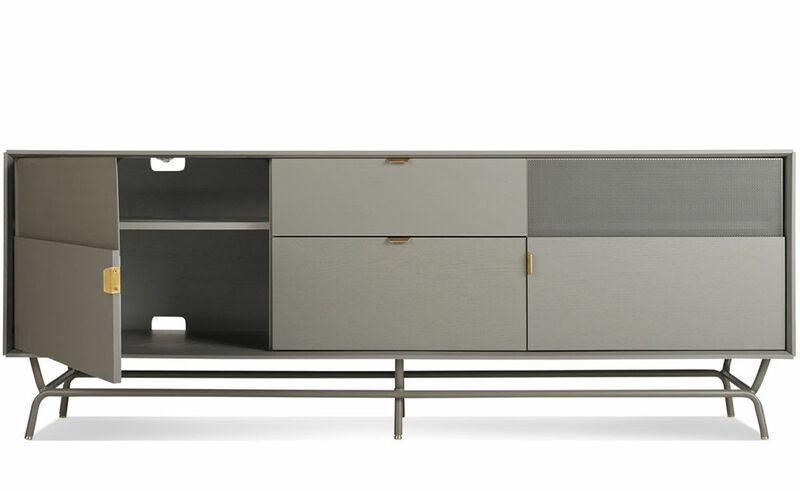 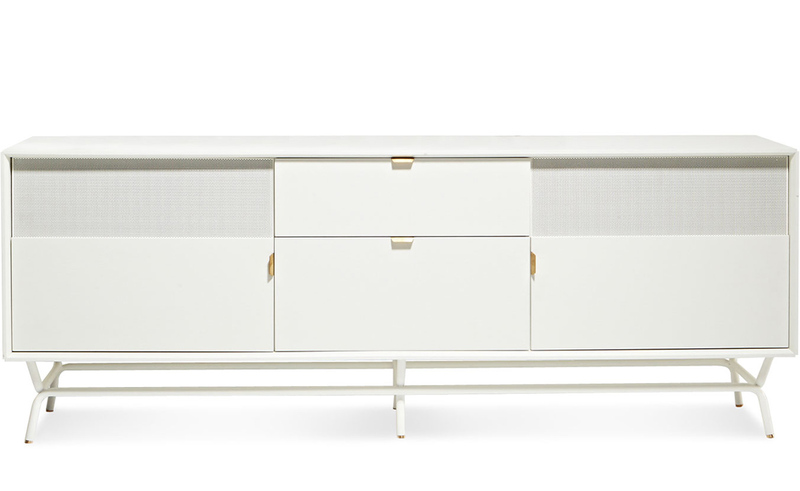 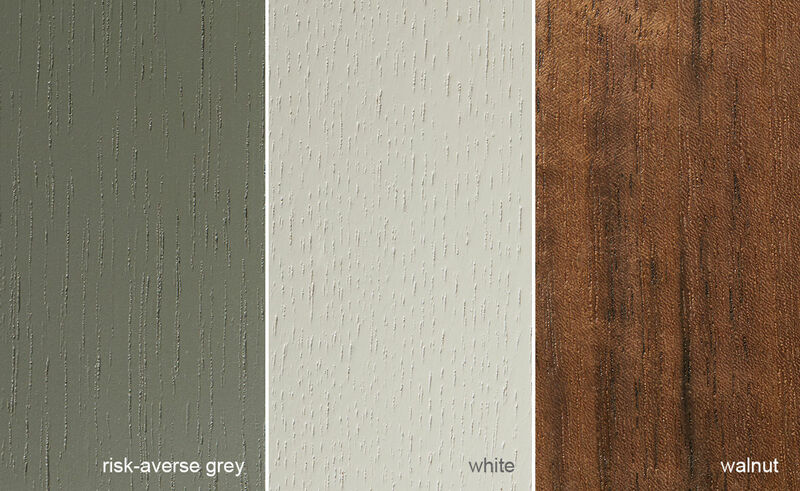 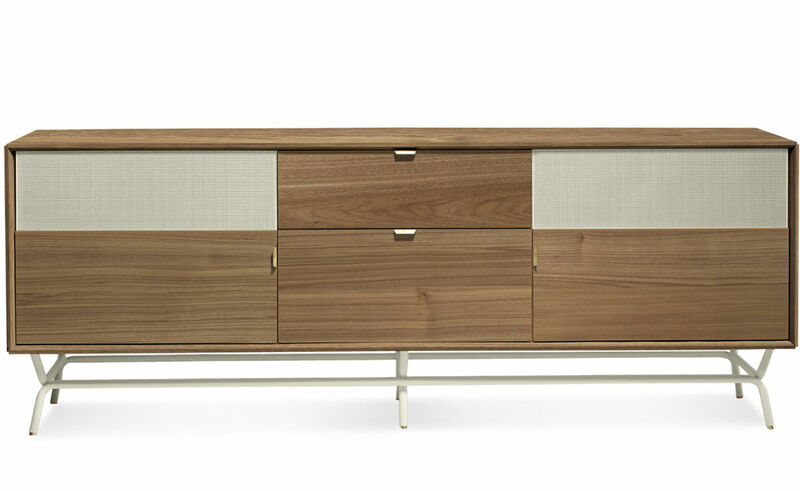 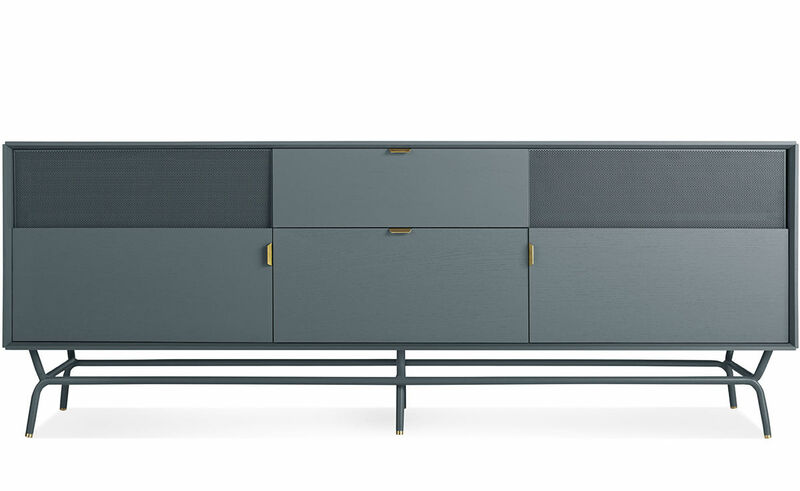 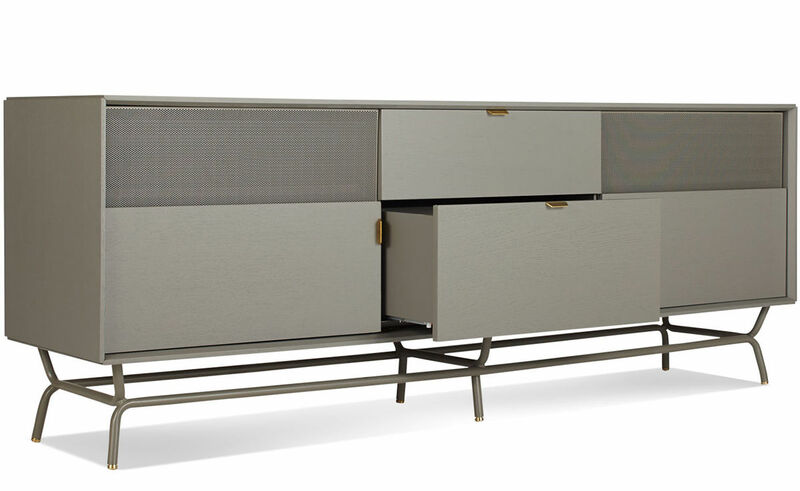 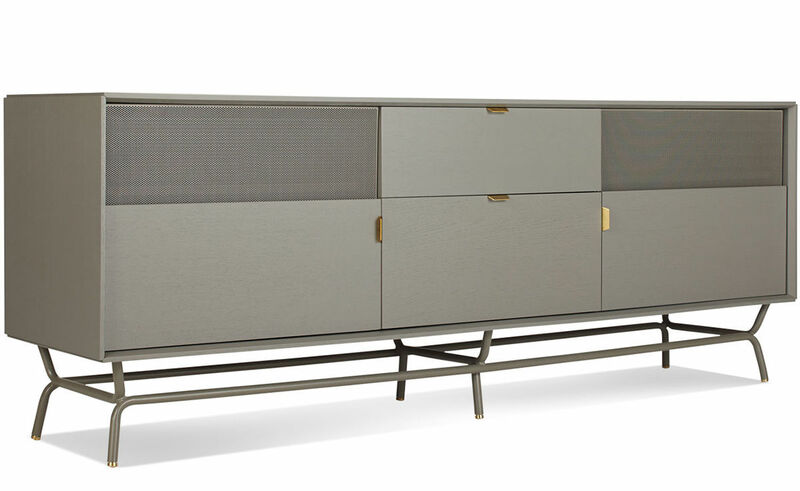 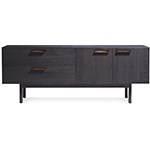 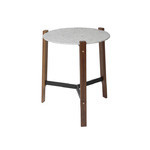 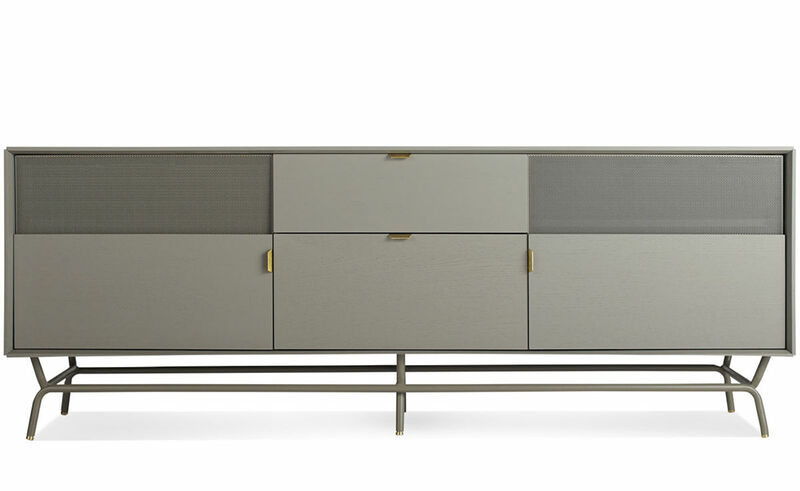 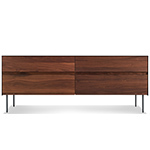 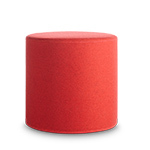 Available in risk-averse grey, white or walnut veneer. 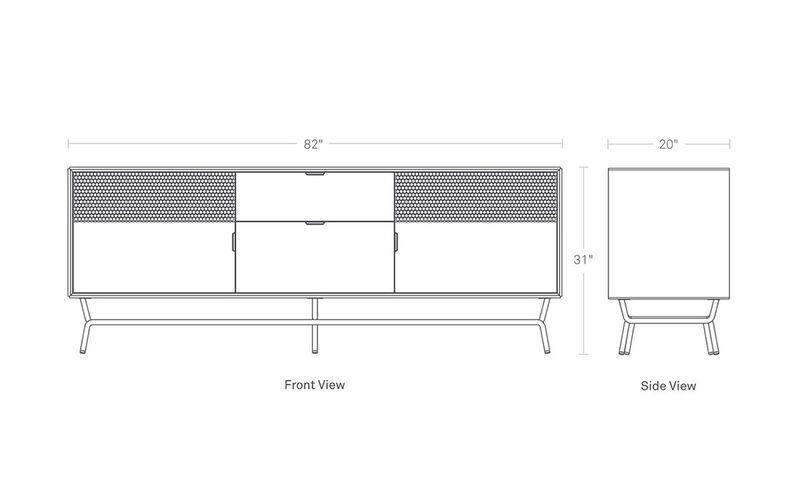 Dang Media stand has four compartments inside with buffers at shelves for soft-close doors. 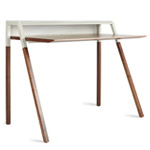 Inside shelf is adjustable to 2 positions.